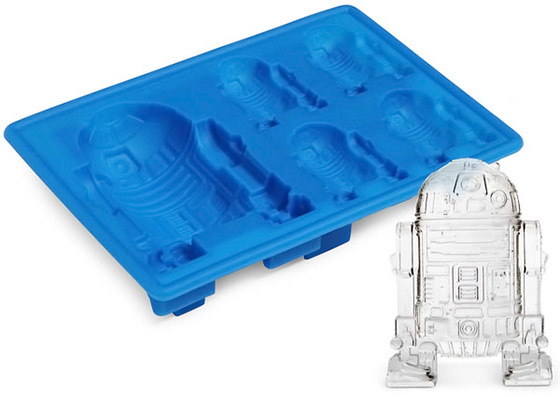 Wow.. R2D2 Ice Cube Trays.. but how well do they work? Will they really look as great as this marketing picture? Our baby shower is Saturday and my wife wanted to do a robot theme. 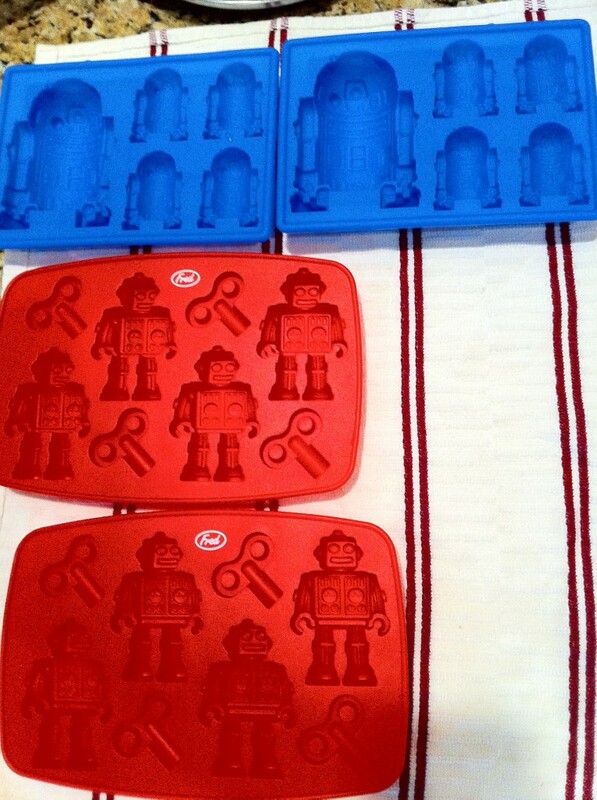 We have robot cupcake pops and other themed items, so I thought some robot ice would be good and maybe I could also use the trays to make some robot chocolates or some other candy. 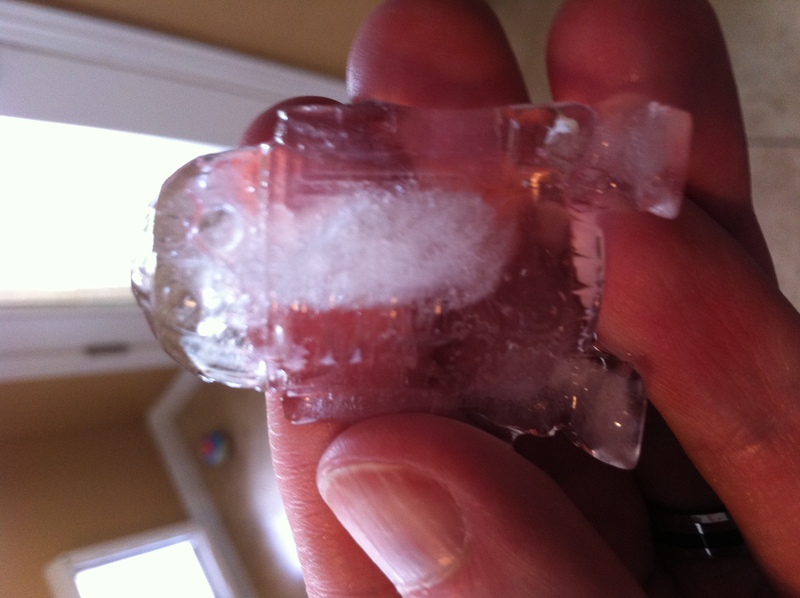 I’ll make a bunch of ice ‘cubes’ during the week and later in the week make some candy. Filling them was a little tricky. I used fridge-cold reverse-osmosis water and poured it slowly. How much water to fill in is one question – and it’s difficult to control that. Some of the pieces are smallish (the keys on the chillbots), and it’s a challenge to be precise on the pour amount. As you can see in the photo, some of them were filled a little too much which sort of bulges the back. I think less is probably better since water expands when freezing. We checked them at an hour and they were still wet in the middle. But by the next morning they were solid and frozen dry. The ‘cubes’ do have a good amount of detail. In a drink I expect it will melt very quickly and lose the detail. Especially the smaller ones. But it’s still a decent novelty. They also basically all have clouds in the middle. There is a way to make ice without the cloud but it’s takes more attention. 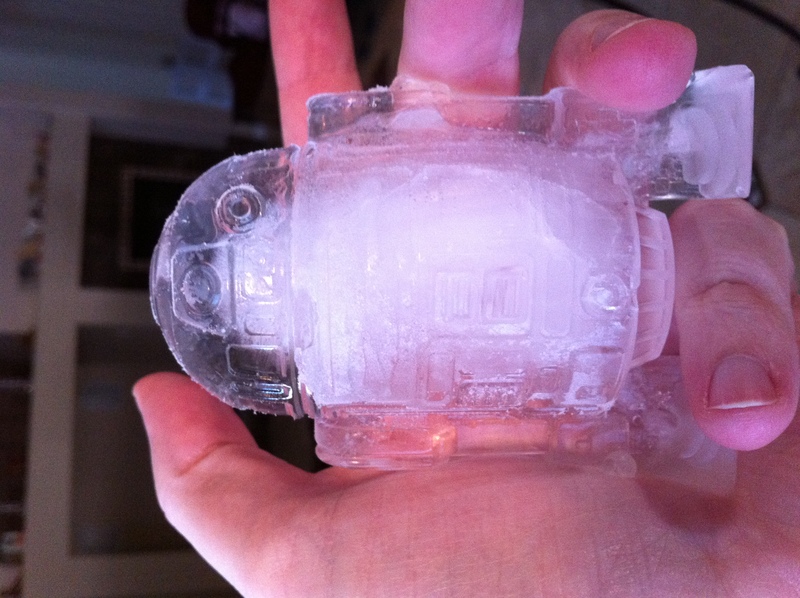 I think since the ice freezes on the outside first air get trapped on the inside. 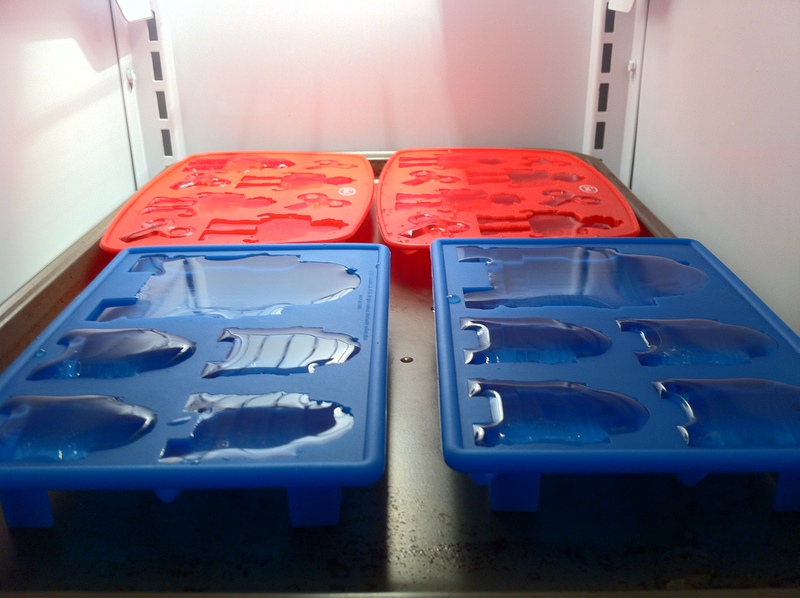 To eliminate the cloudiness you’d have to freeze it in layers by pouring only a little water in, freezing that, and then adding more, freezing that, etc. I’m not sure that’s worth the effort – but maybe. The big R2 was also cracked in the back.. probably from checking it too early. 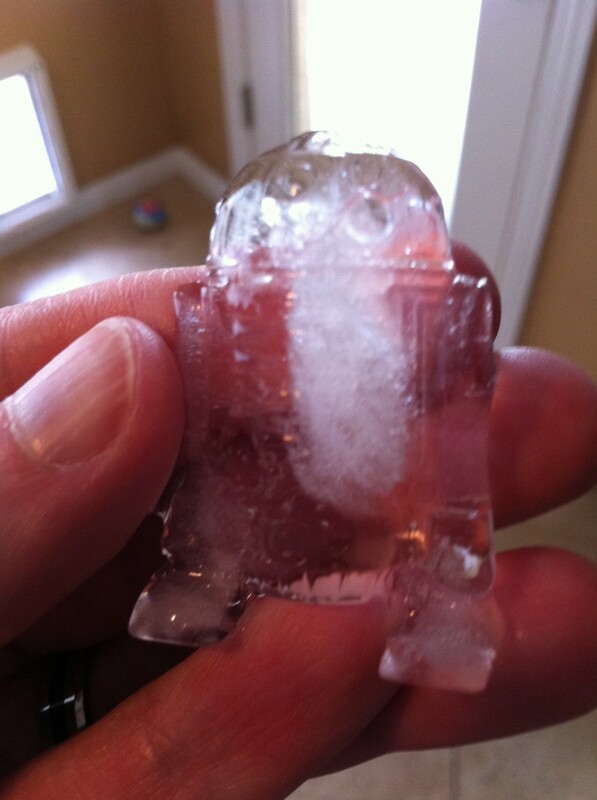 And the smaller ones lose their detail quickly as they melt. It’s hard to get them out of the trays fast enough to keep them frozen (without breaking them). 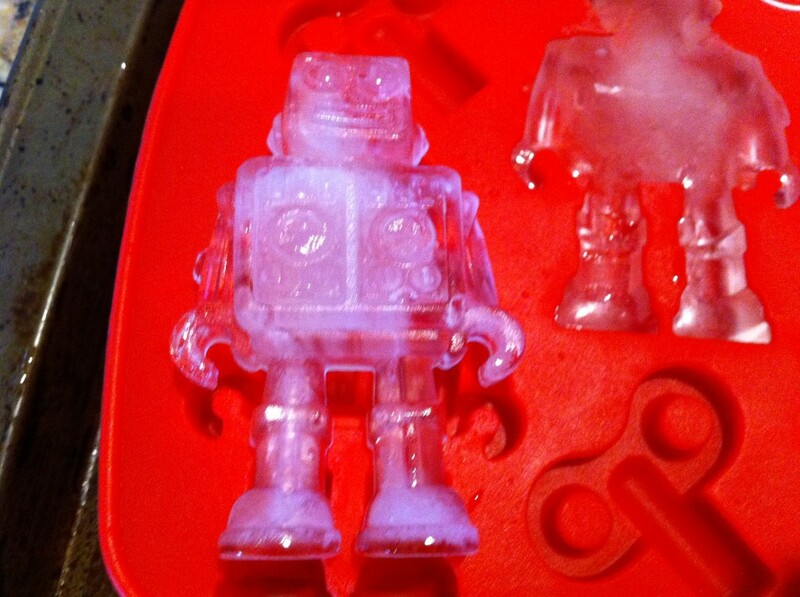 The chillbots are very cool looking ice pieces. But the problem with them is that the hands and legs are very delicate and break off very easily. To remove them from the trays in one piece I had to carefully press around the edges until I saw air get in behind the cube. Still about half become amputees. And of course they also have the cloud issue. Overall I’m glad I bought them. It will add a nice detail to the party. 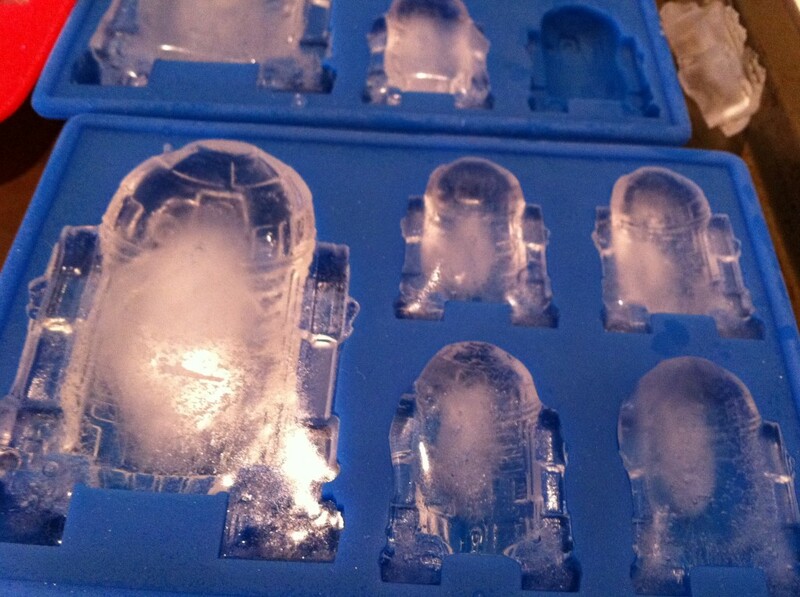 My next challenge is how to store the ice. I’ll be making ice all week and just dropping them in a bowl will probably result in a bunch of broken limbs and possibly having them all stick together. I’ll probably lay them out on a sheet in the freezer. How to serve them will be another issue. Leaving them out in an ice bucket won’t work. It’s sort of an open house party. They’ll get melty and lose their detail and the novelty will get lost. So it has to be something that is handled deliberately. I’ll try making some chocolates or something with them later in the week and will update with those results. 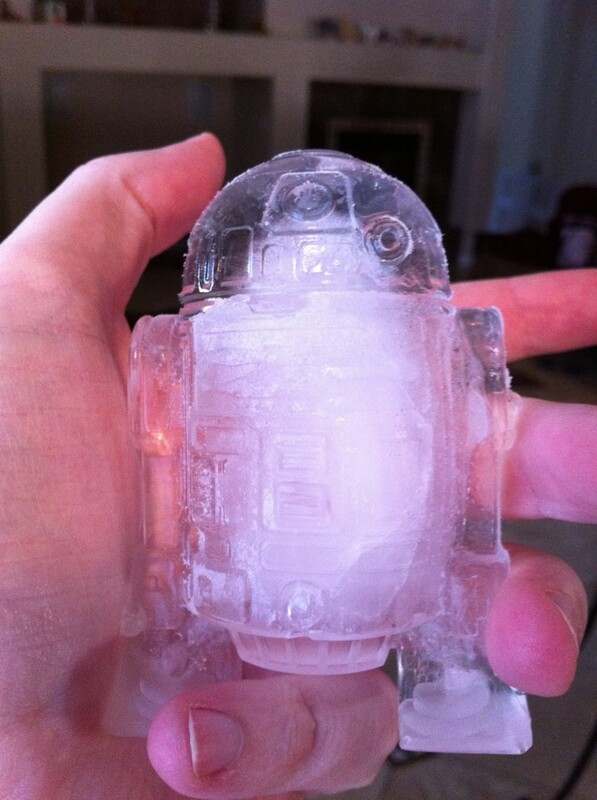 This entry was posted in R2D2 and tagged Ice Cube Trays, R2D2, Robots by admin. Bookmark the permalink.